Family and friends of Kathe Wimberly are raising money to pay for uninsured medical expenses associated with kidney/pancreas transplantation. I received the call! I was discharged from the hospital–a record recovery, according to my medical team. Another record, according to my pharmacist: the fewest discharge meds she had ever seen. My healing has been amazing. Very few side effects–all very manageable. It’s all temporary and I will get through it with a smile. Life is grand…each and every person I know and love brings sunshine to my life. I have met many new people along my journey, each one adding new rays and brightness to my appreciative and over-flowing heart. Again, words escape me. Duke Hospital called me with a kidney-pancreas offer. Please say prayers for the person that lost their life, and their loved ones. We are very very early in the process. I approved the crossmatch bloodwork to start. The hospital will call back in a couple of hours with more info. OH HAPPY DAY!!! After having to change insurance in January, my transplant has been on hold. The insurance company and the hospital were not able to come to an agreement so I have to switch hospitals. We received approval in the mail for Duke Hospital to be my new provider. Thankfully my wait time on the UNOS list will transfer, as well as many of my tests. WOW what a night. Thank you so very much for hanging in with me, for sending all your notes and prayers — you really carried me through a very anxious time. I appreciate you! 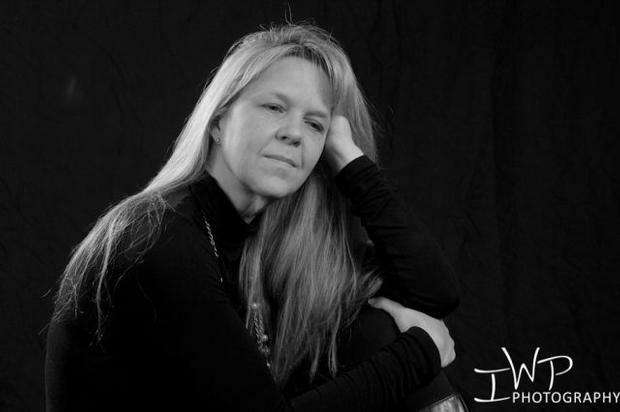 Dawn called at 1:30am with the news that the donor’s pancreas was not suitable for transplant. I have been thinking about and praying for the donor family since the call yesterday. I was told “we have a young donor, and the cause of death was trauma” — then, “do you have any questions?” My mind went blank and the big, loud, ugly crying burst out of me. I felt bad for Dawn having to deal with me. I do not know what “young” is on the age scale, but all my thoughts and tears were for a family that lost their child. There was a local tragedy here yesterday morning, and that young man’s face was all over facebook and the news — he and his family were the focus of my prayers. Last night I got into bed about 1am and think I feel asleep right away. I was afraid of missing the phone call. When the phone rang, I looked at the ID with my blurry eyes, knowing it would be Dawn, but I could not read what the caller ID said. It didn’t look like her name. I picked up and received the news. Next thing I know it was 815am. And I am exhausted. I think I could sleep for the next several days. When I looked at the caller ID a few minutes ago, it reads: UNC XP OFFER I can’t even tell you how nice it would be if I knew that was the ID to watch for. Every time the phone rings from the regular UNC ID, big panic runs through my body. It usually ends up being an appointment reminder, but I didn’t know to look for anything different. Though the initial two calls did come from Dawn’s office ID. I will probably still panic. Thank you, again, for all you are doing with me along my journey. I need and appreciate the strength you give me. Today I hope to get that from coffee. Fuzzy Wuzzy is my brain. All went fantastic with the surgery to install my dialysis catheter. Had a few “sick days” following, but am now pretty much recovered from the procedure. The tube was installed on my lower left belly area, between the belly button and hip bone. On the inside, it runs across my stomach and down. Sometimes it feels like the end of the tube is bumping my bladder, or something in there. I can sometimes feel it when I walk or when I sit down. It exits my stomach on the left and has about 12″ of tubing, a little thicker than a straw, with a good size plug at the end that is about 3″ long. It’s just all kinda wrapped into a circle and taped down. If you look at me when I am wearing yoga pants, it appears I have a “pickle in my pocket” — just to give you a little visual reference there (#unsee!!!). The catheter takes about a month to heal, so we are halfway to being able to use it for dialysis. In the meantime, I go to the dialysis clinic once a week to have it looked at and flushed/tested. Three times so far, and it is doing great and healing perfectly. No leaks, no pain, no redness or swelling or any other bad stuff. A couple times I have had a little cramping during the fluid removal part of the flush, but they said that is normal. At the dialysis clinic is the only time I get to see it, as they change the dressing and it stays wrapped up other than that. It’s very strange to see a tube coming out of my stomach, but THANK YOU for this being an option to help me feel better. Next week I meet with Dr. Toledo, who did the surgery, for him to check on the fabulous work he did. And for me to give him a gold star. The visit with Dr. Toledo will also be bloodwork to see how my numbers are doing. On surgery day, my kidney function was 12%. I’m still having a decent balance of good days/bad days as long as I do not overdo activity and get plenty of rest. I have only had one big outing since surgery, and that was going to see Matthew in the band at Campbell University’s homecoming game. It took me two days on the sofa to recover from all that walking, but it was worth it. Somehow I had two days this week where I didn’t get tired or need a nap — how wonderful it was to feel great! But now we are back to the usual schedule of low activity and much rest. One of the side effects of kidney failure is “fuzzy brain” — boy do I have plenty of that. It’s for odd things though. I notice it is mostly with my short term memory or thinking on the spot. Kinda like “what did I come in this room for” on a large and constant scale. I can hold a conversation, but little details I am trying to express will stump me. I notice I have trouble with naming colors when looking at them on a chart, and with friend’s names. I will get it eventually, but I really have to think. Once dialysis starts, that is supposed to go away as my blood becomes clean. I sure hope that’s what’s causing this fuzzy brain — I am at capacity for medical concerns. I have calmed down a bit with the “jumping when the phone rings” but there is still so much hope when it does. I’m so thankful for my friends that are on call with me while we wait. I appreciate all they do and all they give up on those days to stay available, and those nights that they sleep with their phone on the nightstand in case I call. It’s a really big job — so much more than just being in a constant state of “ready to go” on a moments notice. I’m a lucky girl to have friends willing to do this, and thankful beyond measure. I’ve been instructed that when I do call just to chat, I need to start the conversation with “this is not a kidney call” so we can all relax first. I am settling in to the idea that dialysis is really going to happen. The idea adds another “this could be for the rest of my life” element to my kidney failure, and a big “thank goodness there is a treatment” feeling. I was telling my husband that it was going to be strange to be hooked up to a machine every night, and that my life will depend on that machine. He gently reminded me that I have been hooked to a machine — insulin pump — for many years already. So we are just adding another machine to the mix. Gosh that sounds so horrible. And it’s a scary visual to me. But…..so was the idea of having the insulin pump tubing running from a little machine clipped on my clothes into my body. And so was the idea of having a (much larger) catheter tube running from a hole in my stomach to a machine on my nightstand. Again, wiping away the tears and bringing my mind back to being thankful. It takes a while to accept these big changes, but the acceptance comes; they then become the norm and eventually all is well. Today is surgery day to install my dialysis access. We have decided on PD Dialysis, which is through the stomach instead of the arms. In a nutshell, fluid will cycle through the peritoneal cavity in my stomach every night while I sleep via being hooked up to a cycling machine. Feel free to Google “pd catheter” but I recommend looking at the drawings and not the actual photos of this tubing and process. Kinda graphic and a bit scary. Surgery is at 11 and is supposed to take an hour. I should be discharged home for the rest of the recovery. I’ll go to the dialysis center Friday to get the tubing checked and the dialysis equipment and supplies ordered. From what I hear it’s a monthly delivery, and a big semi truck pulls up to unload the goodies. My kidney function has dropped to 12%. We plan to start dialysis as soon as my port settles, which is supposed to be in two to four weeks. More diet changes, and I am now supplementing with high protein boost and ensure to help the port heal quickly. Thank you for your support during my journey. KIDNEY UPDATE: your veins are horrible. It has been a very busy time since my last update. Only a week, but — whew — much has happened. From those not-so-good results, we are moving on to PD (peritoneal dialysis). This option is where they put a tube inside your belly that extends to outside your belly. The inside part of the tube is in your peritoneal cavity and the outside part of the tube is to hook up to a machine that runs fluid in and out to clean your blood. This is a home dialysis method that I will be able to do myself rather than going to a dialysis center for several hours, several times a week. This will be done overnight while I sleep. Right now the plan is 5 or 7 nights a week (I can’t remember). The type of fluid and the number of hours per night will be tweaked as we go to get the right balance for my body. The install date for this is October 14. This is going to be done via laproscopy and is an out-patient procedure. I’m trying to imagine how this is going to work, trying to sleep with a tube going from my body to a machine next to my bed. All I can picture is that old-timey scuba diver walking the ocean floor with the air tube running from his helmet to the boat way up there at the surface of the water. Better be super careful with that tube. Once my access is installed, it has to settle (I call it marinate) for about two weeks before everything seals up and heals and is ready to be used. So as of October 28, I guess I’ll be ready to start dialysis if my numbers continue to drop. All that being said, I am very hopeful that transplant will happen before any of the dialysis needs to start. Speaking of numbers, I go for the next round of bloodwork to check my kidney function on Monday 10/12. This is also the day we add “dialysis people” to my transplant team. We will start the chats and training on how I will use the machine, how to take care of my access site, and the brand new diet I will be on as a dialysis patient. I don’t really care about food any more — that’s been restricted for a while, so, whatever. Any new food restrictions will probably not matter to me. But, I do drink quite a bit of water. Fluid restrictions will be a big deal — pretty sure once that restriction is put in place I will be thirsty all the time. All. The. Time. So that’s about where things are for now. Thank you for checking on me, your visits, your cards, your words of encouragement, and for all the love I am feeling. I appreciate every single person cheering me on. Receiving a life-saving organ transplant: Priceless! We are fundraising to help with our ongoing and ever-growing cash portion of my kidney and pancreas transplant journey. The last couple of years have been slow and quiet with appointments and testing, but as my nosedive hit a few months ago, everything has been on fast forward. As we wait with great anticipation for the donor call to come, we are preparing for dialysis. The last two months I have had 1-2 doctor/hospital visits per week, and those are becoming more frequent and more expensive as I prepare for installation of the peritoneal dialysis access and training. HelpHOPELive is running our fundraising campaign, and we are so thankful for the great work they do. All donations to our account at HelpHOPELive are tax-deductible — and 100% of your donation goes to our medical expenses (no administrative fees). Thank you for considering a small donation, and/or for sharing our story with others. as always….. much thanks, love and hugs to all! Another day of staying “comfortably ready” by finishing what I start, keeping the gas tank full, and continuing the “one ear open” phone ring vigil with my Shaggy boy (see photo — he’s pretty serious about this responsibility). After the jumpstart call we received Friday morning, I’ve been optimistically expecting the phone to ring any minute. It’s a pretty edgy feeling of anticipation waiting for the hospital to call, with an equal level of anxiety that they are not calling. Trying to maintain a bit of “when and what is meant to be will be” calmness — it’s a tough one. I have my regular monthly appointment with Dr. Upton (nephrologist) on Wednesday (tomorrow) afternoon. We’ll have a blood draw to see where things are, and I predict she will want to go ahead and schedule the installation of my dialysis port. (Insert a mix of sadness and denial and positive thinking here). My numbers posted last night. I have dropped from 16% to 14% — totally blew by the 15% dialysis threshold. Even though we kinda expected stable or a slight drop, it’s still a big shock. I am just a giant basketcase right now, with a huge surge of energy both mentally and physically. All this energy is releasing itself into tissues that have filled a trash can. Buy stock in Kleenex, people — we still have at least two weeks of “energy release” to get through. We are going to take the next two weeks getting things in order at work and the house, and plan what we can for my post-transplant care. We plan to activate my transplant file on October 2. Hoping this is a good decision and we have NO DIALYSIS during this time and until we get the call for transplant. I’ve been told I will be in the hospital for 2 weeks to 2 months, depending on how recovery goes. I am really really shooting for that 2 weeks or less, and getting my mind set on that — the power of positive thinking! After transplant, I have to have care 24/7 for three months, to watch for complications and be ready for immediate transport to the hospital should anything come up (positive thinking again — that will NOT happen). Depending on how long I am in the hospital, most of that time could be taken care of by the time I get home. Todd is clearing his travel schedule as much as possible. Asking for help is the worst of the worst. But I need to reach out for help to cover for times when Todd will have to be at work or traveling — he just realistically cannot stay home for three months. If you feel like you would be able to help with transportation (I will not be allowed to drive for 3 months) or hanging out with me at home daytime and/or overnight, please let me know. I may also need someone to be on call with me in case “the call” comes when Todd is traveling. This could happen any time day or night. Once the call comes in, we would have to up 6 hours to get this chick to UNC hospital (drive with me or meet me there). If you feel like any of this is something you might be able to help with, we would appreciate it beyond what I can put into words. Well — I’ve run out of Kleenex. Time to take a break from posting and get myself together. Today is the blood draw, and Thursday is our meeting with the social worker from my transplant team. She’s the one that helps me get “mentally prepared” and helps get things lined up with insurance and all the to-do items so we are ready to roll when our call comes in. Last time I went through this was 4 years ago, but my numbers improved so we never had to put it in motion. We will know Thursday if we keep the holding pattern or finish that checklist. Thank you for your encouraging notes and calls. Doctor: Your numbers have fallen again. It’s transplant time when you are ready. So that’s the nutshell of things right now. At the last appointment with my transplant team at UNC, it was decided that we have reached the point where my numbers are “transplant status”. My kidney function is now 17%. I’m still balancing good days with bad days, so the surgeon says as soon as I feel like I am out of that balance, they will change my status back to ACTIVE on the transplant registry. Four years ago I was diagnosed with ESRD (end state renal disease) due to diabetes. My kidney function has gone up and down, and in the early days we were actually on the fast track to schedule transplant. Thankfully, my numbers improved and my status was put on hold. I have enjoyed three years of better function and feeling well. Over the last year, my function has declined rapidly (from 30% one year ago to 17% today) and we are now teetering on the transplant status again. Of course I am trying to hold out as long as possible before making that status change. They do recommend doing it before I am too much further along, so that I am in more of an optimal health status vs. being totally wiped out. Because I am hoping to receive a kidney and a pancreas, this journey will involve more than saying “it’s time.” Our path will line up with someone that has chosen to be an organ donor, and their gift will allow me and many others to receive a renewed and healthier life. For that, there is so much love and thanks that is impossible to convey in words. Since the doctors are expecting my status to change soon, I will go to UNC Hospitals every month for blood draws. This blood is for the hospital to keep on hand for donor cross-matching. It all seems so “matter-of-fact” during my doctor appointments. The quiet time in the car ride home is full of emotion, just thinking about what all of that really means. Again, enter box of tissue here. So very thankful for the all the love and outpouring of support I have received over the years. I’ve taken some breaks from journaling along the way, but will be posting more frequently as we go. Much love and hugs to all…. There are about 120,000 people on the UNOS registry waiting for a kidney. Every day, 18 people die waiting. Counting my blessings = infinity. Endless love and thank you to the angels in my life. Perspective: Its interesting how you look at things around you based on whats going on in your life. When stuck in traffic i used to think helicopters were monitoring the highways. Now i see helicopters as rushing through the sky in big hurries transporting critical human organs for transplant. 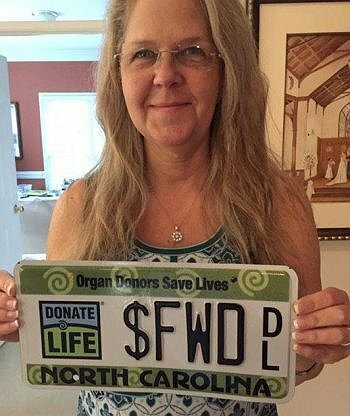 Hi Kathe...My name is Craig Cushman and I can relate to you needing a transplant for both pancreas and kidney. If you get a chance maybe you could read my profile. I hope you are doing well if you have received your transplant and all is well....take care.